I’ve had this now for a while on both legs. The symptoms are getting worse now. 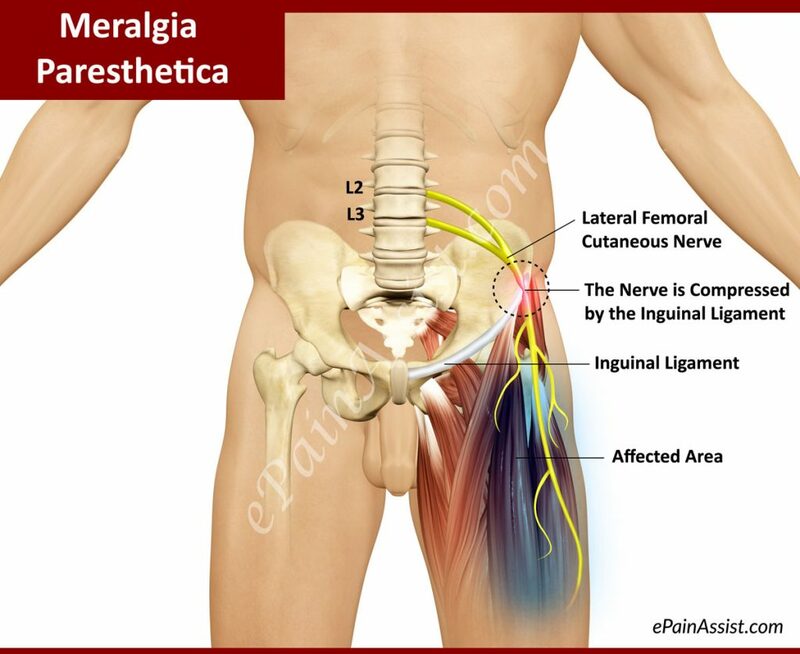 It is NOT the iliotibial band issue. This can lead to SIGNIFICANT DISABILITY if not treated quickly. THIS CAN GET REALLY BAD. Bridging is one exercise, which does that. It comprises of lying flat on the floor and lifting your hips up, at the same time tightening the gluteal muscles. Hip extensions can also be done. First lie on your belly and lift your leg up while tightening the gluteals. Standing hip abduction can be done by standing straight and slowly lifting each leg to one side while keeping the knee extended. These exercises should not cause pain in the thigh.